Product categories of Car Body And Accessories, we are specialized manufacturers from China, Car Body And Accessories, Right Front Fender suppliers/factory, wholesale high-quality products of Left Fender R & D and manufacturing, we have the perfect after-sales service and technical support. Look forward to your cooperation! The role of the Car Body parts is mainly to protect the driver and constitute a good air mechanics environment. A good body auto parts can not only bring better performance, but also reflects the owner's personality. The structure of automobile body is mainly divided into two kinds: non bearing type and bearing type. Non-carrying body car has a rigid frame, also known as the chassis girder frame. The body suspension parts is positioned on the frame and is connected with an elastic element. The vibration of the frame through the elastic spare parts to the car, most of the vibration is weakened or eliminated, the impact of the frame can absorb most of the impact, in the bad road when the body plays a protective role, so the compartment deformation small, smooth and safe, and the cabin noise low. But this kind of non carrying type body is bulky, the quality is big, the automobile center of mass is high, the high speed driving stability is poor. The carrying type car body's automobile does not have the rigid frame, only has strengthened the front, the side circumference, the rear, the bottom plate and so on the position, the body and the chassis together formed the bodywork body the rigid spatial structure. In addition to its inherent load-carrying function, this kind of bearing body has to bear various loads directly. This form of the body has a large flexural and torsional stiffness, small quality, low height, low center of mass of vehicle, simple assembly, high speed stability. However, because the road load will pass through the suspension device directly to the body, so the noise and vibration is larger. There is also a body structure between the carrier body and the carrying body, which is called the half bearing type body. Its body and chassis with welded or bolted rigid connection, strengthen the part of the body chassis and play a part of the role of the frame, such as the engine and suspension are installed on the reinforced body chassis, the body and the chassis parts become one common bearing load. This form is essentially a load-free body structure without a frame. 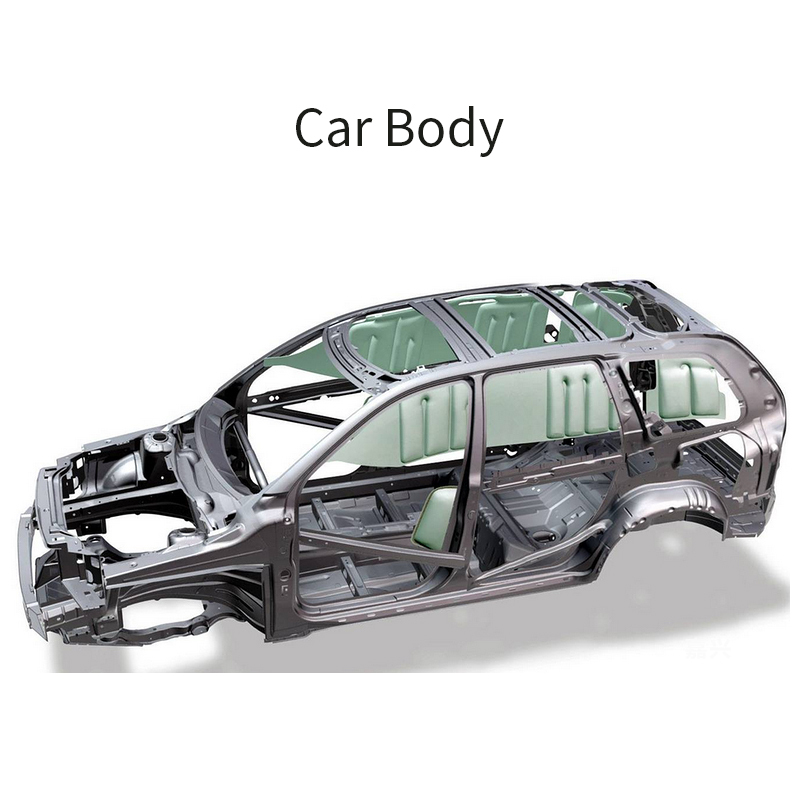 As a result, the car body structure is usually only divided into non load-bearing body and bearing type body.